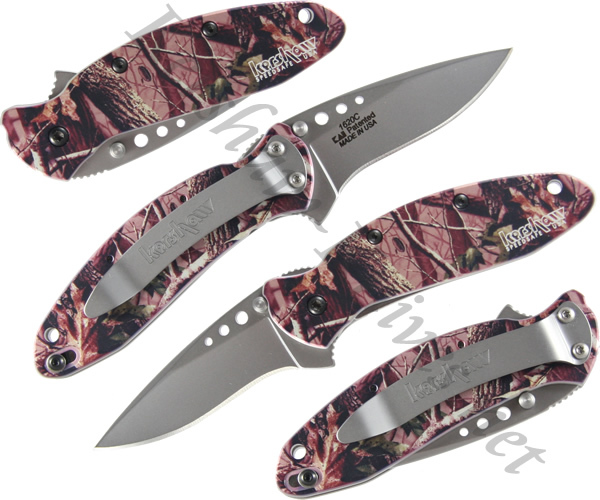 For those of you who like to keep it camo-consistent, you might try the Kershaw Scallion Camo knife model 1620C. 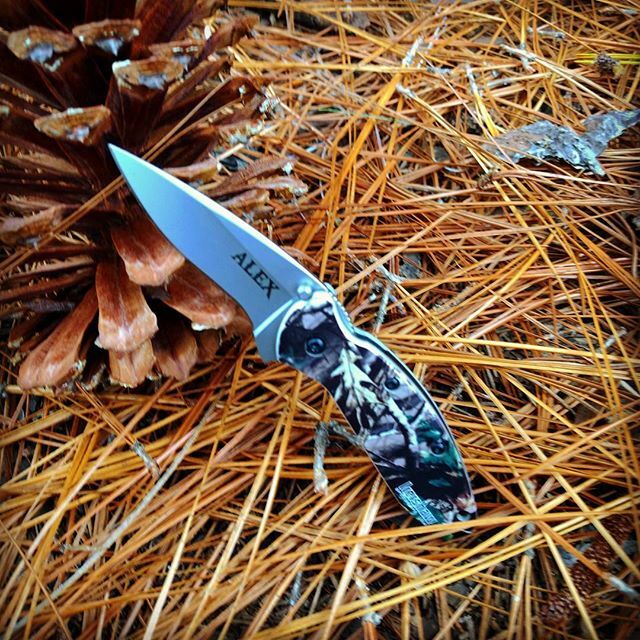 On the anodized aluminum handle of this knife is a camouflage pattern. The blade is assisted opening when you push the ambidextrous thumbstuds and is made of 420HC stainless steel. A safety lock is integrated into the handle so that the knife cannot open accidentally. A pocket clip is included as a means to carry the knife. 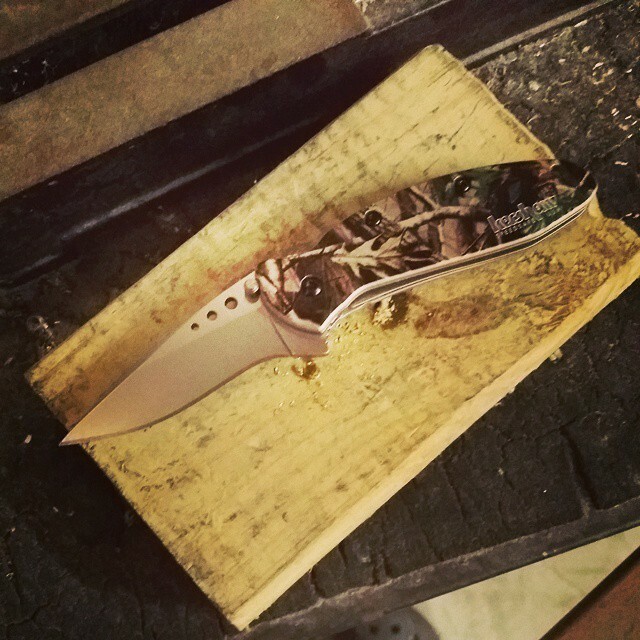 The knife pictured above is now discontinued so if you order this the most current stock will be shipped out. We will be getting a new picture to this site. Current stock is a green, olive and brown colored handle and the knife blade is solid, the three holes are no longer on the Scallion model.